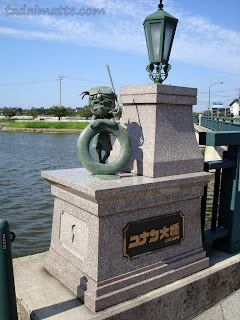 One of my greatest adventures in Japan was visiting Conan Town in 2009. I had never gone so far afield for a day trip before, and I had never taken a daytime highway bus anywhere, either. Nor had I ever come quite so close yet to getting stranded in the middle of nowhere in Japan! Oh yes, that's one way. I was looking at over eight hours combined travel and about $160 in cost (the exchange rate was comparable at the time) if I wanted to slog all the way out to Tottori-ken and see this place. It wasn't something I was willing to undertake alone, and none of the friends who'd been to visit me were up for this expensive and monumental task. I can't blame them - we had some pretty big adventures as it was. 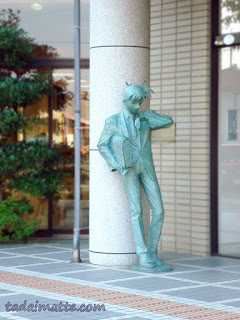 Ami, though, is a fan of the manga Detective Conan, and the lure of Hokuei-cho is that it is the birthplace of Aoyama Gosho, the artist of this series. 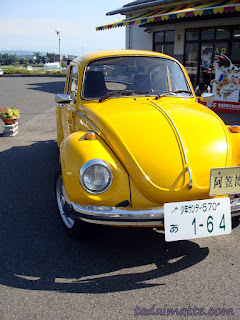 When I floated the idea of taking a day trip to Tottori past her, she immediately agreed. you'd want to relax a little, too! I had to find a way to bring down the cost and the travel time. Luckily, my Google skills and my Japanese were just good enough to get us set up on a Nihon Kotsu bus for a very reasonable ¥3,600. I think we left at either 8 or 9 AM, and the bus was just over 3 hours from Hankyu Umeda to Tottori City (which, I should point out, is nowhere near Hokuei-cho). 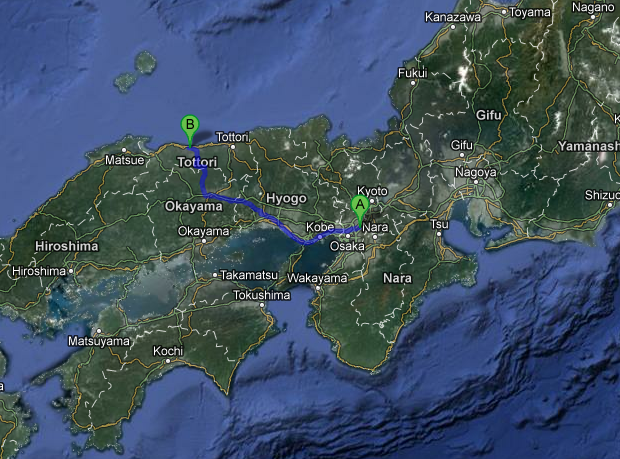 Our next trick was getting from city to town, which is further into the boondocks of Japan than I had ever been. We got lunch but missed the San-in Line train, which meant buying reserved seats on the charmingly-named Super Hakuto limited express. About two hours and one long wait for a train change later, we finally disembarked, tired and excited, at Yura Station! It was nearing three o'clock - it had taken us almost seven hours to get this far. This probably should have been indicative of how the rest of the day was about to go. Still, we were happy to be there at last! It had been dreadfully difficult to find information on the town - I probably spent 30 minutes just digging out the name of the train station - so we didn't have much idea of what to expect. 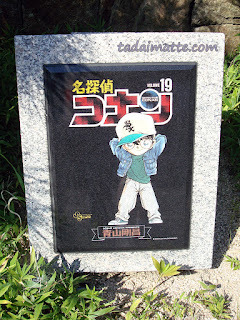 For those who got this far in the post without any idea what I am talking about when I say Conan, well, Detective Conan is a famous comic series that is among the longest-running in Japan right now. The first volume came out in 1994. The manga has been released in English under the name Case Closed. The basic premise of the story is that a high school-age genius detective, Kudo Shinichi, witnesses a shady exchange between members of an organized crime syndicate, the Black Organization. He is caught and fed poison, but instead of killing him, the poison shrinks him into a grade-schooler. In order to protect his family and friends, he takes on the name Edogawa Conan and goes undercover, living with his maybe-girlfriend and her PI father while he tries to take down the Black Organization. 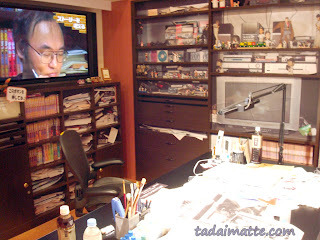 I hoped to see the conclusion of the series while I was in Japan, but no such luck - it's about to hit the 20-year mark. Back in Conan Town, being the birthplace of Aoyama Gosho is obviously a huge claim to fame for this little village, though many of the elements of Hokuei-cho were a bit dated - the statues and other permanent landmarks were based on Aoyama's earliest drawing styles; mid-1990s. I had the locations, though, of seven Detective Conan statues in the town, and a list of other spots of interest. Where the statues were dated, the Museum was very modern. We passed a closed souvenir store that had seemingly moved into the Museum, so it had obviously seen a lot of effort put into it to lure the big fans. 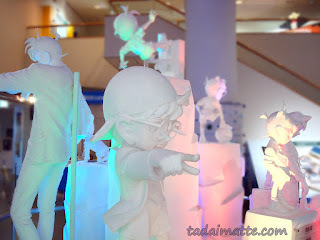 There were appearances here and there by Yaiba, the lead character of Aoyama's pre-Conan manga of the same name, and plenty by Kaitou Kid, star of Magic Kaitou and a very familiar crossover character. My favourite feature was the replica of Aoyama Gosho's workdesk. There was an interactive skateboard game, a voice-changing bow tie, a showcase of Detective Conan in various languages, a selection of famous mystery novels by authors Aoyama enjoys, sculptures, toys, original pages of Aoyama's works, giant cardboard characters...this place was as thorough as any big museum in Tokyo! We spent so long going through the museum and the gift shop that we left ourselves very little time to go see the remaining statues. After we finished at the museum and made a quick stop at the bookstore, we were about to head back to the station. 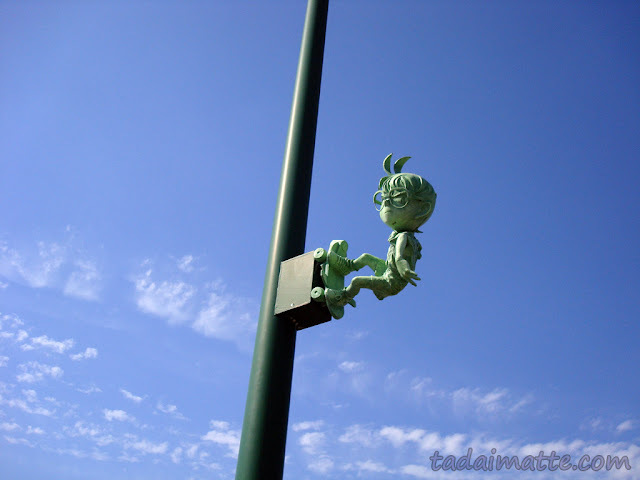 Unfortunately, we still hadn't seen that last statue! Glancing at the map and the clock - 5:30 - I had to admit that there wasn't really enough time to go up there and see it, and still make it back for the 5:56 train. 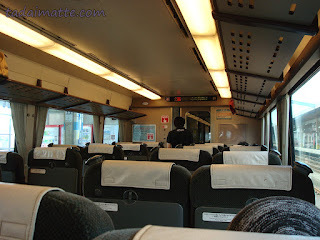 It was a Sunday, so there was only one train per hour, and this train was the last one that would get us back to Tottori in time for the bus home. If we missed the bus, I had no Plan B. Stranded six hours from home on a school night? No thanks. Still....I <really wanted to see it. 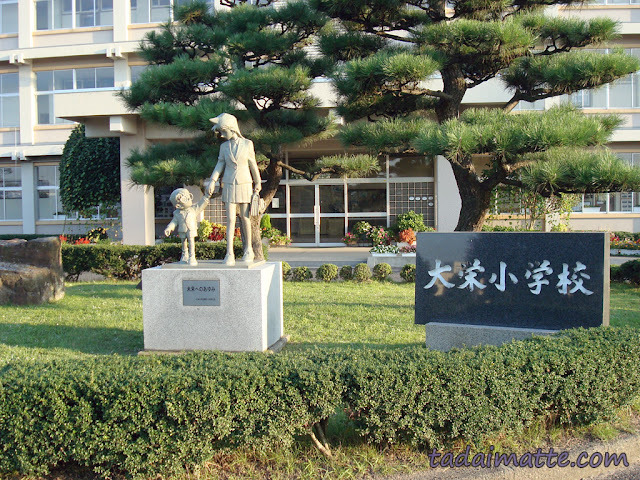 There was only one statue of Ran in the whole town at the time (though now there are two! 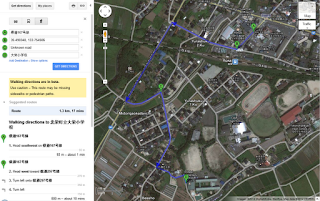 ), and on the map, she did look close by. 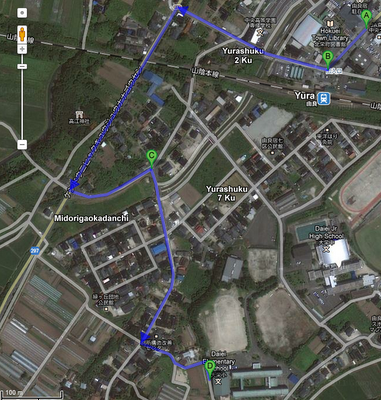 Daiei Elementary School was <behind the train station, so we would be on the wrong side of the tracks, but on our not-to-scale map I thought perhaps it couldn't be more than five minutes from Yura. I asked Ami if she was up to the challenge - from the library to the elementary school and the back to the station, in 25 minutes. Could we do it? She's asthmatic, so I'm not sure why she agreed to this, but the game was on. Away we went! Needless to say, when we finally arrived at the school at 5:42, we were more than a little worried about being stranded in Conan Town. Had it been a Saturday, sure, Conan Town forever! But the best we could do was snap a couple of photos of the statue and then run back to the station before we heard the train warning bells. As it was, we had just enough time to quickly buy tickets ("How much should I put in?" "It doesn't matter! Just get any ticket and we'll fix it later!") 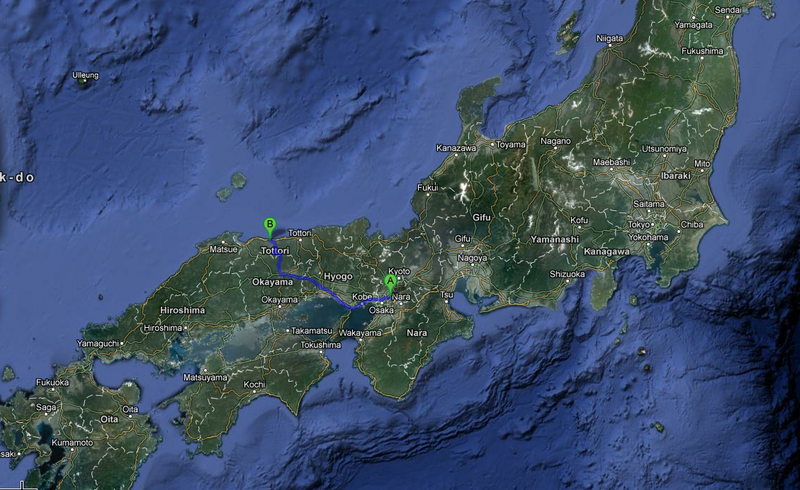 before the train arrived and it whisked....er, trundled....us back to Tottori City and the Nihon Kotsu bus. The statue that almost cost us dearly! From there, it was a long journey back to Osaka - when we were dropped off at the OCAT building at last, we were tired and pretty cranky, and Ami left her bag of Magic Kaitou books in the overhead compartment of the bus. By the time we realized it, we were so exhausted that we just didn't have the energy to go and file a claim. We arrived back at my place well after midnight, having clocked a full 14 hours in transit. That's quite a feat for a day trip! Still, it's not a stretch at all for me to say that the museum alone made our ridiculous journey worth it, and we had ourselves quite an adventure. I would have done it again in a heartbeat - but I would have given us two days!